In 1984 the California Legislature authorized an emergency purchase of approximately 777 acres of land along the Upper Truckee River to save it from development. The land’s unique and irreplaceable resources offer extreme value to the maintenance of the water quality of Lake Tahoe. On the west side of the river, Washoe Meadows State Park was established in 1987. The privately developed golf course was allowed to remain on the east side of the river and designated as a State Recreation Area. Washoe Meadows provides affordable, year round, family-friendly recreation. Some of the centerpieces of the approximately 608 acre park are the unusually diverse fens. These wetland ecosystems host rare native plants and filter water that flows to Lake Tahoe. The park’s forests are rich in native wildlife, including black bear, pine marten, foxes and migrating birds. The Upper Truckee River, home to many species of fish, forms the park’s eastern boundary. The river separates the state park from an 18-hole golf course that operates in a state-owned recreation area. In 2000, the state released a proposed plan to restore a portion of the Upper Truckee River that flows through the golf course. This portion of the river sends sediment and chemical runoff into Lake Tahoe. Also of concern is the golf course’s location on the banks of the river and in its floodplain. The state’s preferred alternative was to reroute the river and move half the golf course into Washoe Meadows State Park. To do so would require the state to downgrade protections afforded state parks. In 2011 the State Parks Commission voted to approve State Parks request to downgrade the status of Washoe Meadows State Park to a State Recreation Area. This reclassification is unprecedented in California. 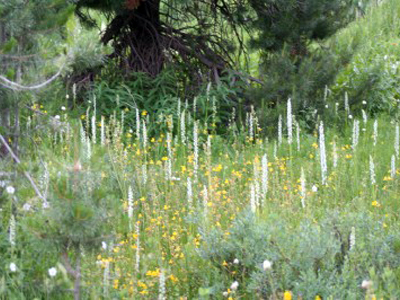 Washoe Meadows Community, a nonprofit grassroots group, was founded in 2006 to protect the natural, cultural and recreational resources of Washoe Meadows State Park. The group is an alliance of other conservation groups and individuals who value open space and state parks. Washoe Meadows Community seeks a collaborative approach to resolving the project issues. However, we filed a lawsuit in 2011 over the State Parks Commissioners decision to declassify a significant portion of Washoe Meadows State Park, instead making it a State Recreation Area, which sets a dangerous precedent for California’s park system. When State Parks cancelled their project approval and resubmitted the same project for approval to the Commission in 2012, we filed a second lawsuit against the project. Independent scientific review has shown serious deficiencies in the river restoration plan. A major concern is that massive amounts of earth movement are involved instead of process-based river restoration which would have minimal risk to infrastructure and ecology. Massive logging and construction of a golf course in Washoe Meadows would further destroy the natural resources, with the potential to increase sediment flowing into Lake Tahoe. Massive excavation would require removing more than 1,600 trees, and allowing construction near the park’s fens and wetlands threatening the delicate hydrologic balance that allows the fens and wetlands to filter the water that flows to Lake Tahoe and provide an abundance of plants and wildlife. Free, family-friendly outdoor recreation in a natural area would be replaced with a single use—a golf course. Golf course development requires the downgraded reclassification of state parkland that sets a dangerous precedent for the future of California State Parks. Washoe Meadows Community supports the restoration of the Upper Truckee River. Current best practices for river restoration call for a lighter human touch and reliance on natural processes. Such advanced restoration techniques would reduce sediment flowing into the lake while providing riparian habitat. We also support preservation of Washoe Meadows State Park. Scientists have determined that the park holds valuable and rare natural and cultural resources. Washoe Meadows provides affordable, year-round, dispersed recreation in a natural setting. We strongly object to the proposed project, which ties the river’s restoration to the golf course expansion. Not only would the proposal devastate irreplaceable natural features of the park, it has required the unprecedented move by the Parks Commission to reclassify parkland in contravention of the 1987 legislative statute defining Washoe Meadows’ boundaries. We support a more sustainable alternative offered in the proposal: Restoring the river and maintaining the integrity of Washoe Meadows State Park. We support former El Dorado County Supervisor Norma Santiago’s alternative plan that would integrate Washoe Meadows State Park and the adjacent Lake Valley State Recreation Area. The vision includes protecting the parks’ resources while developing an integrated economic and recreational plan providing varied, all-season activities for local and visiting users. We believe this proposal is consistent with the State Parks mission to preserve and protect California’s parks. We need a Parks Department that cares about state park land and we need Natural Resources leaders who recognize Washoe Meadows State Park as one of the jewels of the California State Parks system.